Date : Rouen ca. 1450. Size : 5.9 x 4.3 inches. / 15.0 x 11.0 cm. 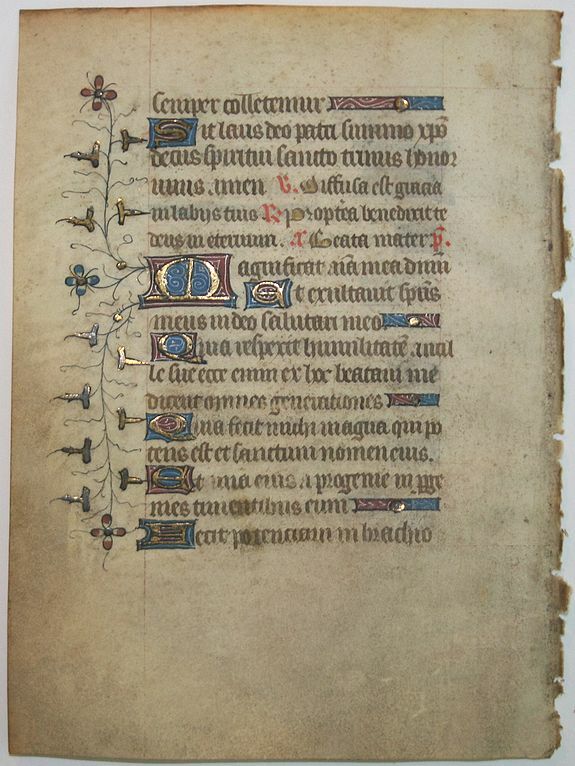 Description :A beautiful vellum leaf from a French Book of Hours, written in the north, Rouen? The decoration on both sides have leaves with gold leaf and coloured flowers. There are many initials and linefillers in red, blue, white and gold. Condition : A bit browned and stained.